"Interium" is a video installation and an integrated virtual reality experience. 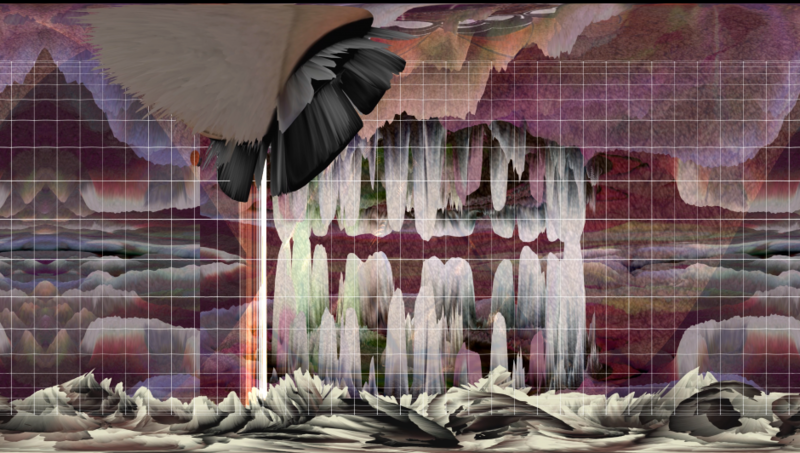 The project utilizes real-time animation and generative sound to immerse the viewer-participant in a world populated by visual forms that display surprisingly sentient behaviors. These emergent artificial life forms respond to the human presence in a play-like dance of give and take, at times evading the human explorer and at other times enveloping the participant in a scintillating vibratory embrace. This exploration of empathy and interconnection emerges in gestural dialogues and novel relationships that unfold between the synthetic life forms and the human viewer. "Interim" is rendered in a hybrid visual language that seamlessly fuses supple pattern formations inspired by the flora and fauna of the natural world with kinetic sculptural structures reminiscent of human-made artifacts and architectures. On entering "Interium" we encounter the visceral presence of alien life and our own innate physical responsive emotive being.